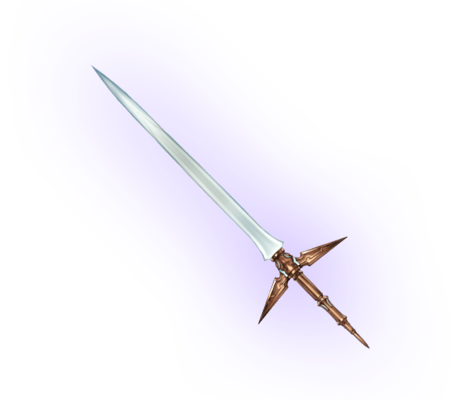 This blade's forbidden flash, capable of shaking out all impurity within this world, is known only to those who live and die by the sword. Those who continue to swing this lonesome sword even in a world of nirvana come to be known as sword saint. Light DEF Up. Not a Damage Cut. This page was last modified on 5 November 2018, at 09:47.